Prior to crowdSPRING, I was a lawyer for 13 years – focusing on complex commercial and intellectual property litigation. This is the second in what will be a regular feature in our blog discussing important legal issues that impact every small business. If you’d prefer to watch a video about trademarks, your business and how you can avoid violating trademark law, we’ve created a video version of this post: Five Tips on Leveraging Trademarks to Protect Your Business. 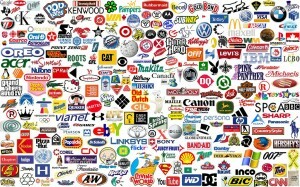 A trademark is a word, phrase, or logo that identifies the source of goods or services. Trademark law protects a business’s identity and brand by discouraging businesses from operating under business names or using logos that are likely to be mistaken for the name of an existing trademark. A service mark is similar to a trademark – but it’s used to distinguish the services of one provider from services provided by others (and to indicate the source of the services). What’s the difference between copyright and trademark law? Copyright and trademark law both protect intellectual property – but they protect different things. Copyright protects works such as poetry, movies, writing, music, video games, videos, plays, paintings, sheet music, recorded music performances, novels, software code, sculptures, photographs, choreography, and architectural designs. Trademarks are names, logos, sounds, shapes, colors and even smells that distinguish the source of goods or services of one party from those of another party. Example: A computer software program may be copyrighted. The name of the software can be trademarked. If a trade name or logo is protected by copyright law, is it automatically protected by trademark law? No. A trade name or logo design might be protected by copyright law, but is not protected by trademark law unless it is actually used in commerce. This is because trademark rights arise only through commerce (such as when you offer items for sale and use the trade name or logo in your marketing materials or on the products). Must a trade name or logo be registered with the U.S. Patent and Trademark Office to be protected by trademark law? No. You are not required to register a trade name (or logo). You can acquire common law rights simply by using the trade name or logo in commerce. Do you have to be a U.S. citizen to register a trademark? No. But you must disclose your citizenship in the application. How Long Does a U.S. Trademark Last? U.S. Trademark registrations filed today have a 10 year term. NOTE: There are periodic requirements to maintain an active registration and you must follow those requirements or risk losing your trademark registration. Can you sell or assign a trademark to another person? Yes. If your mark is registered, you can (but don’t have to) record the transfer with the U.S. Patent and Trademark Office. Is a U.S. trademark or use solely in the U.S. sufficient to acquire trademark rights around the world? No. Trademark rights are territorial. If you’ve registered your trademark in the U.S., you can generally enforce it only against those who infringe it in the U.S. Many European countries have adopted the Community Trademark (CTM) – a registration under that common system allows the enforcement of rights in all of the signatory countries. The CTM doesn’t replace national trademark rights in the signatory countries, but it does coexist with those rights. If you own a U.S. trademark or have applied for one, you can seek registration in any of the countries that have joined the Madrid Protocol by filing a single application – called an “international application” – with the International Bureau of the World Intellectual Property Organization. What Should Small Businesses Do To Avoid Violating or to Leverage Trademark Law? Trademark infringement is the unauthorized use of a trademark or service mark on goods and services that are competing with another company’s goods or services (or that purport to relate to another company’s goods or services). The success of a lawsuit to stop the infringement (which is how violations are typically resolved) turns on whether the unauthorized use causes a likelihood of confusion in the average consumer. 1. 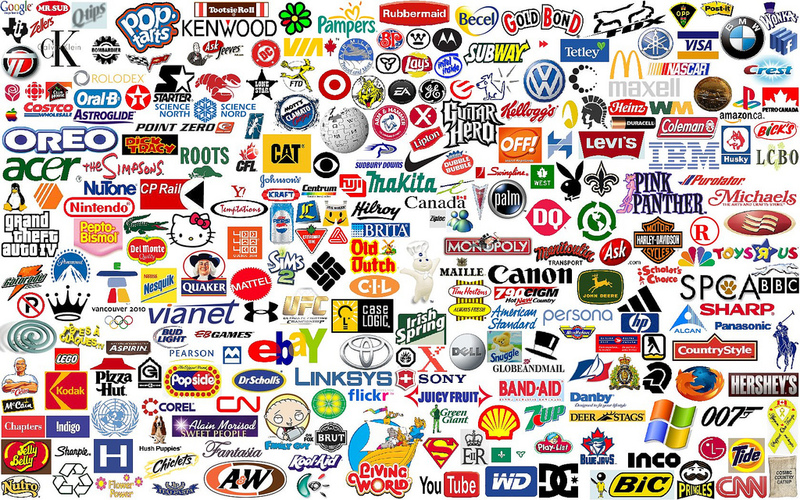 Do a trademark search before you settle on a trade name (company name) and/or logo. You can search (for free) the federal trademark database – Trademark Electronic Search System. One good alternative: a recent startup, Trademarkia, allows you to search trademarks for free – and can help you file your trademark application. You can also leverage Google, Bing and other search engines to look for companies using the name you intend to use for your company or product. Don’t forget to do a domain name search to see if someone is using the name as their domain. It’s always a good idea to hire a trademark search service – even if you think you’re a good researcher. Professional search costs several hundred dollars (and can cost thousands of dollars depending on their coverage), but covers many more databases than you’ll have access to, will often include an international search, and will typically be much more thorough. Although more expensive than many others, this is the company I often used when working with clients on trademark matters. Intellectual property lawsuits can be very expensive. Take care to make sure that you’re not exposing yourself to unnecessary risk. 2. Register your trademark. You are not required to register a trade name (or your logo). You can acquire common law rights simply by using the trade name or logo in commerce. However, registering the trade name or logo can help. Among other things, it notifies others that you assert rights over the trade name or logo and that you’re serious about protecting your rights. The registration date also contains the date you first used the mark – which serves as evidence against other parties you might later allege violate your trademark rights. Moreover, when you’ve registered your trademark, you can sue those who infringe your mark to recover damages and also attorneys’ fees and punitive damages. You can hire a firm or attorney to help you register, or do it yourself. The forms for registering with the U.S. Patent and Trademark Office can be found here. If you need answers to specific trademark questions about U.S. registration, you can also contact the Trademark Assistance Center at 1-800-786-9199. 3. Maintain your trademark if you’ve registered it. If you’ve registered your trademark, continue using it in commerce. Don’t forget to use the “®” symbol once your registration is approved – this lets everyone know that your trade name or logo is registered. If you haven’t registered, you can use the “tm” trademark symbol to let people know that you assert trademark rights in the trade name or logo but that it’s not officially registered. 4. You can file a trademark application before you use a mark in commerce. This is especially helpful to startups – you don’t need to wait to use a trademark in commerce – you can file an Intent-to-Use application with the U.S. Patent and Trademark Office. 5. Understand the Permitted and Prohibited Uses When You Use Another Company’s trade name or logo. Often, especially when companies enter into partnership agreements with each other, the partners must use someone else’s trade name or trademark. For example, if I have a small electronics store and advertise Sony products for sale, I may use the Sony logo in the advertising I place in the local paper. Make sure you have rights to use the trade name or trademark. Don’t assume that you have unlimited rights – you most likely do not (even if you’re authorized to resell a particular company’s products or services). Similarly, if you allow other parties to use your trade name or logo, make sure you carefully define how they should use the trade name or logo – and also specify any uses that are not permitted. If you get into a jam or are unsure about what to do – consult an attorney. In a later post, we’ll talk about more advanced trademark issues, including what to do if someone violates your trademark. And If there are other small business legal issues you’re interested in reading about, please leave a comment and let me know. You might also be interested in an earlier post – Small Business Legal Issues: Copyright Basics.